For all the questers and orc slayers out there, Blade Reborn combines the mythical with magnitude, as players compete in this huge MMORPG. Players need to complete quests, slay bosses, and crush opposing players to maximise their opportunities for the best in-game loot. 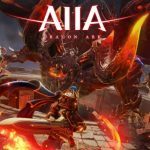 Blade Reborn is brought to us by Snail Games, a company that’s behind other other popular mobile titles such as Dark and Light, Ark Park, and Taichi Panda. All of their games utilise heavy multiplayer components whether its cooperative dungeon battles of arena style PVP. Snail Games have really mastered the art of multiplayer and brought it to our mobiles on a huge scale with Blade Reborn. 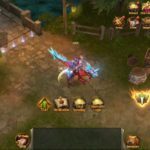 In Blade Reborn your objective is to become the mightiest warrior in the realm through levelling up your character, equipment, and of course, you’re super cool mount. Players will make their way through a campaign with varying levels of difficulty in order to obtain the rewards on offer, the greater a player performs, the more rewards they’ll receive. The artistic detailing used in Blade Reborn is on par with console and PC so you really feel immersed in the environment as you carve your way through scores of orc warriors. To help you become Blade Reborn’s mightiest hero we’ve outlined a list of the top tricks and tips to get you ahead of your opponents and to the top of the leaderboard. Due to the scale of Blade Reborn, we’ll take you through each component with the ‘need-to-know’. As with most MMORPG’s, gold and gems are your life source as they play a pivotal role in the overall might of your character. Whilst your character’s base stats will increase with character progression, gold and gems allow you to purchase the best gear available and really boost your might. Now when it comes to filling your pockets with these shiny goodies there are a few methods proven better than others. General Gameplay: Throughout playing the game you’ll notice that gold can be attained through smashing jars and defeating enemies. This is by far the steadiest stream of income as you can achieve it passively whilst in attempting to achieve other goals. Bonuses: These can be gained through general gameplay, achieving certain levels or even by regularly checking in. This isn’t the best reward source in terms of gold but when it comes to gems and those added extras such as constitution pills or tier levelling pills, you’ll certainly want to take notice of bonus requirements. Missions: Completing missions is the cash cow of Blade Reborn, here you’ll be rewarded with gold, gems, and even items! Missions will take you through the campaign map where you’ll receive bonus chests for reaching certain milestones as well as gaining a certain level of stars. Focus heavily on missions towards the beginning of your battle saga for quick levelling up and some easy cash so that you can gear up and start your reign of PVP dominance. 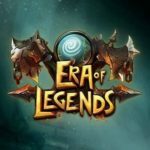 The Arena: Battling other players in the arena is not only a quick way to earn some extra gold but also Valor that can be used to purchase runes and items from the Valor store. You want to make sure you fight in the arena as much as possible to efficiently use your fortitude and maximise your rewards. When first heading into the world of Blade Reborn you’re given the option of three classes to choose from each with varying skill sets. Brutalizer: Not only does this heavy style unit deal the highest level of overall damage but they are also the easiest to control in terms of abilities and general combat strategy. Brutalizers are great for those who like to get in the middle of the enemy horde or for beginners looking for something slightly less complicated when first starting. Magic Bow Elven: Combining attack speed with ranged abilities, the Magic Bow Elven is a great supporting unit in the battlefield as well as highly mobile solo character. These units are a must-have for any team and make for a great choice when looking to avoid heavy boss attacks as you’ll have plenty of time to move out of the way. Shadow Assassin: These are your burst damage units concentrating a flurry of attacks in a short period of time to quickly drain enemy health. Shadow Assassins are also extremely agile making them great one-on-one units, as you’re able to outmanoeuvre your enemy. Playing this character is great as long as you time your attacks well, dodge the big hits and capitalise on poor attack timing from the enemy and their health will plummet. Each character type comes down to personal preference and has to match your play style. Snail Games are gracious enough to grant us three character slots, which means you can happily try out each unit without losing any progression gained. This is a great way to find the right fit for you before committing a lot of time to character progression. The Blade Reborn menu can be a little overwhelming but once you’ve played a few rounds of each battle category you’ll find your favourite as well as the best mode to grind for rewards. Step 1: Work your way through the first few chapters slaughtering the hordes enemy units, by the end of chapter 2 your might should be around the 8000+ mark. This will get you to the next tier of items as well as the relevant battlefield experience you’ll need before fighting other players. Step 2: Enter the Battlefield. This is a PVP team based event where players battle it out for Valor. Playing here will get you that first taste of PVP experience whilst also having the support of some additional players. Unlike the arena, there is more to the Battlefield than just killing as points are also achieved through holding capture zones. Always aim for the zones as the enemy will find you there and them extra points always count in those close games. Step 3: The Arena is where you’ll battle it out for leaderboard superiority. When battling in the Arena you’ll be presented with a selection of opponents to choose from. It’s always good to choose players of lower might level when first starting but after a while, pick a fight with players of the same level or higher to climb ranks quicker. Step 4: Dungeons place players in an open world environment where NPC’s aren’t your only problem as other online players can also challenge you. This is a great place to not only level your character but also get some great gear. You can also team with other players you find to increase your orc killing power. Step 5: Team/Elite Team Instances are where you’ll compete in the most difficult missions alongside some other brave souls as you aim to get some of the best rewards the game has to offer. These are great to play once you’ve joined a guild as you won’t have to queue up to join teams. There are two attack styles that both have positive and negatives when playing Blade Reborn. AOE (Area Of Effect) attacks will deal damage to larger areas and therefore hit more enemy units at once. This is great when working your way through multiple enemies as it speeds up your map completion time or hits multiple opposing players in the Battlefield. Single Point Attacks don’t actually exist in Blade Reborn as you will damage all the units in front of you but your AOE will be significantly reduced. These attacks normally deal higher concentrated damage and are best used when fighting world bosses or single opponents in The Arena. Attack combos are a great way to deal high consecutive damage to an enemy; however, it’s very easy to hold the attack button too long and overcommit to a series of strikes. Getting locked into a combo can significantly reduce your battle completion time as well as makes you more vulnerable to an enemy that notices the mistake. Watch the enemy health bar to evaluate how many strikes it takes to wipe them out, as that’ll help you move quickly through the map. Once you’ve also levelled up a little you’ll unlock your second weapon with its own range of abilities, use these. 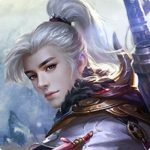 All abilities have a unique cooldown time before reactivation, to maximise damage output switch weapons (even if your other weapon does lower overall damage) to make use of the abilities before switching back in time for the initial reset. This flurry of high impact ability attacks will keep your enemy watching their health bar. When it comes to your rage ability, use this with your highest damage weapons for more destructive power and try to use it often as it builds through the amount of damage you inflict on enemies. Joining a guild is a great way to meet regular players that can aid you through team battles, instances, and dungeons. You may find people of similar level going through the same missions or even higher level players that are able to jump in and help you secure that loot your after. Guilds don’t just offer the added benefit of player help but also act as a way to progress your character through the store, allowing you to buy fortitude or tier pills, but also through the daily offering in the form of gold and constitution rewards. When battling your way through the hordes of Blade Reborn there are a lot of functions that you need to be aware of as a player; however, Snail Games have made this a little easier granting players the ability to choose their attack type. Players can select from manual (player controlled), semi-auto (AI will attack nearby enemies), and full-auto (AI will attack every enemy unit). Realistically you’ll only find yourself switching between manual and full-auto attack modes. Using the full-auto mode will let you focus on switching between weapons and activating abilities for efficient strikes. The downside is that in-between battles it may not be the faster way to move around and may put you at a disadvantage in terms of tactical ability when fighting numerous players in the Battlefield. This is when it’s best to use manual attack mode. Hopefully, following our Blade Reborn, tips, cheats and tricks above you’ll have a much better understanding of how to quickly make your way through character levelling and be well on your way to becoming the mightiest hero. Good luck and happy slaying!